Nonprofit organizations face many barriers as they work to move forward the causes that they represent. Often, budgets are tight and the allowance for technology assistance is unobtainable. This problem is what led to the launch of dsmhack with our signature event: the Des Moines Charity Hack, an annual event that brings together technical resources with the nonprofits that make our community great. 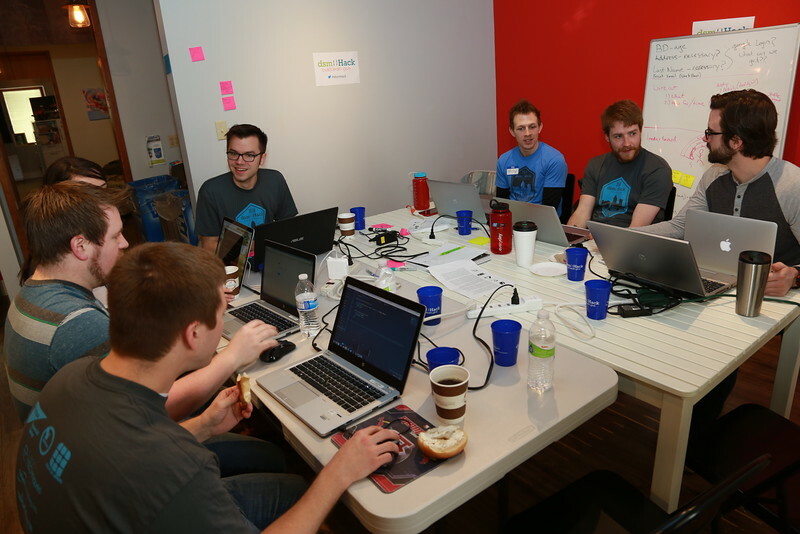 The Des Moines Charity Hack has taken place for five consecutive years and helped over 50 nonprofit organizations. Once the nonprofit organizations have been selected, their representatives and the technology volunteers come together on a Thursday evening in March to kick off the weekend. Each nonprofit group pitches their need to the volunteers, who will then self­-select the project they feel called upon to help. Teams then self-organize for a 48-­hour coding rush! Work begins Thursday evening and doors on the hack remain open through Saturday, with breakfast, lunch, and dinner (and snacks and caffeine of course) being provided to all participants, who are free to come and go as they please. Projects aren’t the only thing that are built during the 48-hour sprint. Friendships are forged, skill sets are grown, and innovative solutions are uncovered. Volunteers benefit from the weekend just as much as the nonprofit organizations themselves. Many volunteers remain involved with the nonprofit organizations long after the event in one way or another. At the culmination of the event, each team presents their developed project to the rest of the participants and nonprofit organizations and nonprofits share their reactions to the experience. And then, we celebrate! The best part? Each nonprofit walks away with a deliverable in hand that will help tear down technology barriers for their organization as soon as the next day. Learn more about the 2018 hackathon. Join our mailing list to be notified of upcoming hack details.